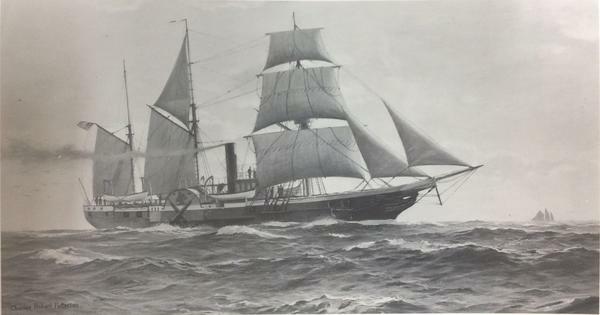 Today is the 175th anniversary of the launch of the USS Michigan, a ship like no other in the U.S. Navy at the time. Today, big changes in the lame duck session could be coming over who controls oversight of Michigan schools. Bills sponsored by term-limited Representative Tim Kelly would create a new 13-member education commission. Plus, voters approved Proposal 3, also called "Promote the Vote," on Nov. 6, but now Senator Mike Kowall has introduced a series of bills during the lame duck session that would alter what voters have approved. On this day in 1843, the U.S. Navy launched a new warship that became part of the revolution in sailing technology: the USS Michigan. Michigan History Center's Rachel Clark joins us to celebrate the 175th anniversary of the first iron-hulled vessel in the U.S. Navy’s fleet. Joel Stone, Senior Curator with the Detroit Historical Society's Dossin Great Lakes Museum on Belle Isle explains what differentiated the USS Michigan from every other ship in the U.S. Navy. Suzanne Schulz is the Director of Design, Development and Community Engagement for the city of Grand Rapids. She joins Stateside to explain why the city decided to halt any new applications for medical marijuana licenses. That's after businesses got the green light this summer. She fills us in on the actions taken by the City Commission this week in regards to application acceptance dates.